A 2m SE swell forced us to take shelter in the Tawharanui Marine Reserve for a days diving. Congratulations to Jenny on completing her Nitrox course, and Graham for completing the last 2 dives of his Hollis Explorer rebreather course. Jenny, Graham, Alonso and Brent. 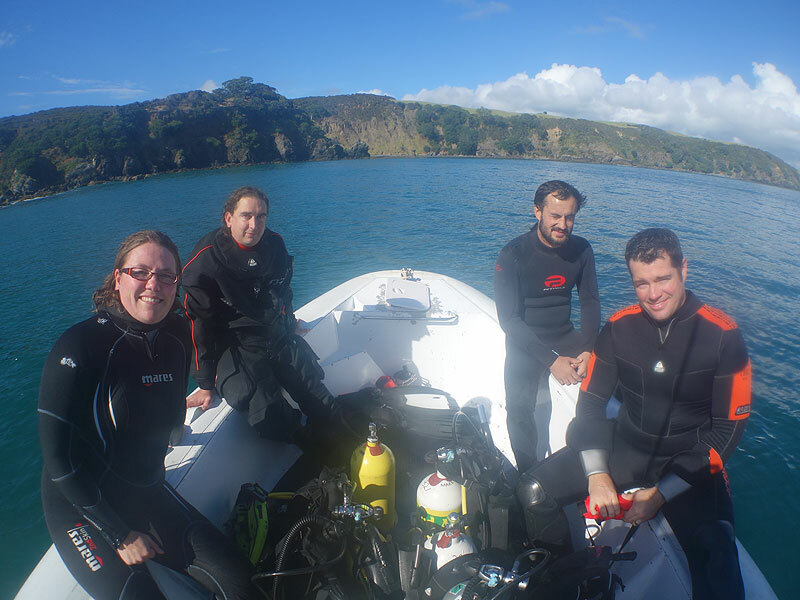 In the afternoon we headed back out with 7 open water students to complete the final 2 dives of their course…welcome to the wonderful world of diving, and no better place to start than a marine reserve packed with life.